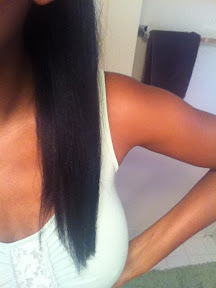 I can't recall if I did a blog post going into detail on my straightening method...so here goes! I start with freshly shampooed hair. You want to use a shampoo because the cleaner your hair, the better your results will be. Piling silicones on top of dirty hair will give you dull, lifeless straight hair. After shampooing I always use a moisturizing deep conditioner. Your curls and kinks should be in tip top shaoe for the straightening process. I let my hair air-dry until it's only slightly damp and then I apply my heat protectant. 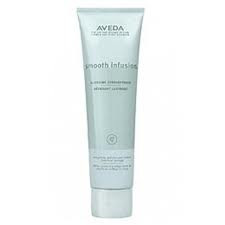 I use Aveda Smooth Infusion glossing straightener. Basically you want to get your hair as straight as you can doing the blow drying process. 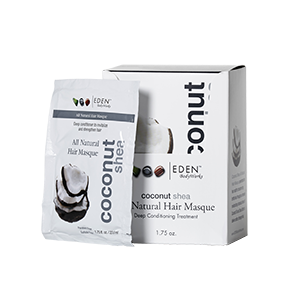 This reduces the need for a super high heat setting while flat ironing. I believe it's best to use a flat iron with adjustable temperature settings. 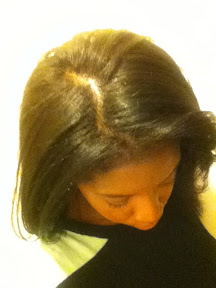 I find that certain sections of my hair are fine and can't take the high heat needed for my thicker sections. When you flat iron I recommend sections of 1 inch or less. 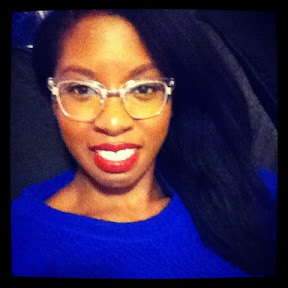 I use the comb chase method where I run a comb down my hair as I flat iron. This ensures the sections get as straight as possible with heat being evenly distributed. You should only need to do 1 or 2 passes down the hair with the iron. Nothing more. Also if the hair is hot to the touch, the heat setting is too high for your heat protectant putting you at risk for heat damage. Once I'm done straightening...I'm done. I preserve my hair by wrapping it at night or pulling it back into a ponytail. I have a tutorial on how I acheive a bouncy loose curl look. Very pretty! Your hair has grown so much.